The Yamim Nora’im (Days of Awe) offer nothing short of the opportunity to change our lives. These ten days of reflection, renewal and repentance provide a context and container in which we can take stock of the direction of our lives, see where our habits are serving us or not serving us, and take steps to bridge the gap between our intentions and our actions. At SAJ, we know we cannot do the holy work of transformation alone. We need a community which inspires us to go deep inside and to stretch ourselves to give beyond what we think are capable of. 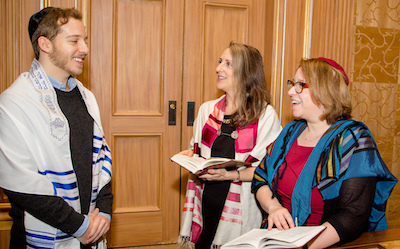 As the shofar blasts on Rosh HaShanah and at the end of Yom Kippur, we listen for our own individual calling, to be our best selves, to show up with our whole selves, and to recommit to tikkun olam, repair of the world. Our shared SAJ holiday customs bind our community together over these sacred days. We offer a variety of ways to connect over the holidays — we hope you will find your way into one of them! 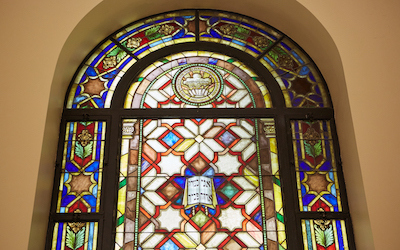 Led by Rabbi Lauren and Cantor Lisa, accompanied by musicians, the Makor Sanctuary Service is an opportunity to dig deep and to reach beyond through liturgy, poetry, sermons, and congregational reflections. Led by Tehilah Eisenstadt, Director of Education, Matthew Check and our Family Service band, our two services for two different age groups, will bring you joy and inspiration. Led by Rabbi Mick Fine, SAJers in 7th-12th grade join together for reflection and conversation on the High Holidays. 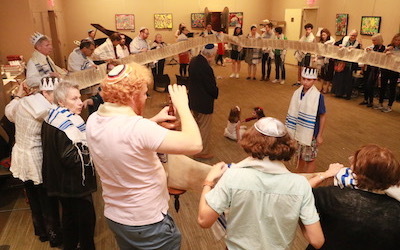 Exploring themes of regret and reparation, tikkun olam and Jewish ethics, our Jewish teens enjoy conversation and community on the holiest day of the year. SAJ teens can also be found in the Makor Sanctuary service. Celebrating the High Holidays: a Non-Liturgical Spiritual Experience with SAJ, led by Rabbi Emeritus Michael Strassfeld. This is a donation-based service, though tickets are needed for security reasons. For security purposes, you must have a ticket to enter the building/s. If you (or your guest, or teen) have lost your ticket, your/their name will be on a list with the front door security guards. Please be patient as they make sure you are on the list. 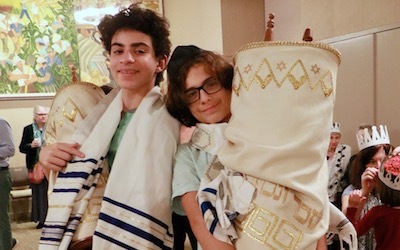 Your ticket to the Family Services, Teen Program and the Non-Traditional Spiritual Experience allows you access to the sanctuary on Erev Rosh Hashanah, the second day of Rosh Hashanah and Yom Kippur afternoon speakers and concluding services. Please use the links below to purchase tickets.